For some odd reason, there’s been a huge surge of traffic to my old blog these past few weeks. 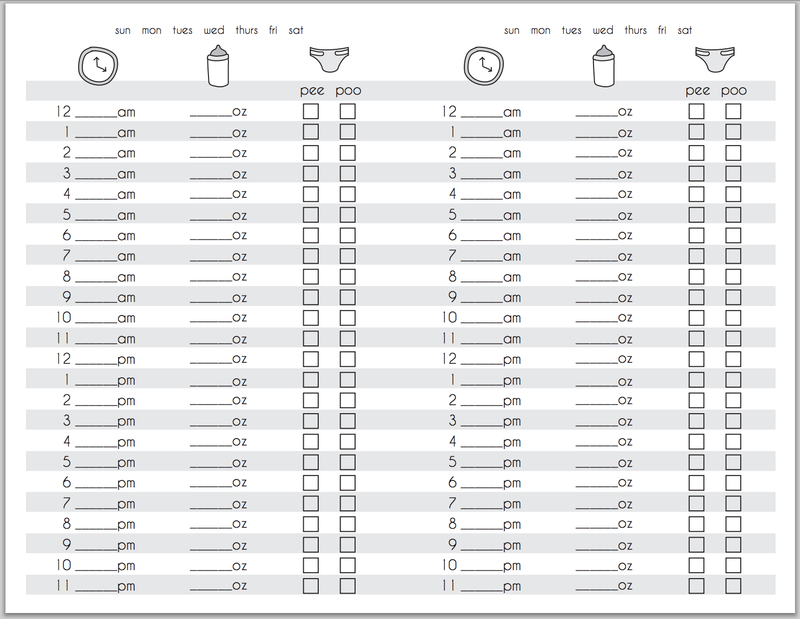 People are emailing me specifically asking for the PDF of the baby feeding chart I used with Jack three years ago. Note: This is for bottle-fed babies, and as a new mom it was priceless in helping me keep my day organized. I followed the book BabyWise and Jack ate every three hours, so keeping track of feedings was crucial. The best way I found to use it was to print it out and frame it in an 8×10 frame. Use a dry-erase marker to write directly on the glass of the frame, and wiped it clean for the next day! Update: here’s the breastfeeding chart!